I often wear black; it’s slimming, forgiving of red wine spills, always in style and goes with gold and silver jewelry alike. Well, 2018 black is the new finish. 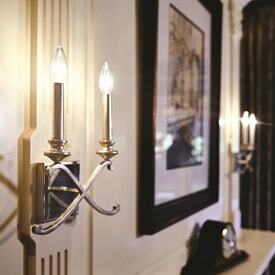 You will see more and more offerings in this finish, whether furniture, clothing, appliances or lighting. 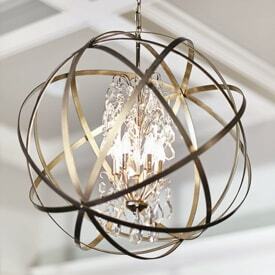 In January at the Dallas lighting market, every showroom focused on the black finish for chandeliers, pendants, orbs, Island pieces, exterior fixtures and even bathroom fixtures. I found all to be very classic and stylish! For some time now grey has been a very popular paint color, add black fixtures and some black furniture and voila, you have something spectacular! 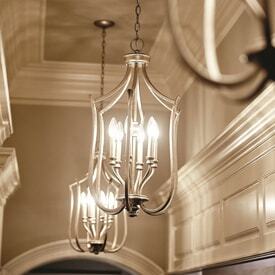 While contemporary and modern is so in right now, there is still a yearning for traditional design. As the Baby Boomers are retiring and downsizing, they are giving their children and grandchildren old pieces of furniture and oriental rugs that have been in their families for years. Do you see a comeback? Just maybe. What’s old is new again. Our youngsters are very creative and can make statement pieces out of our old items. Fresh paint, new knobs, removing doors from china cabinets, making an old marble top table into a pedestal sink stand and more. Traditional becomes fresh once again. As Spring approaches (regardless of what the groundhog said) we are thinking about Spring and Summer renovations and porch and patio updates. 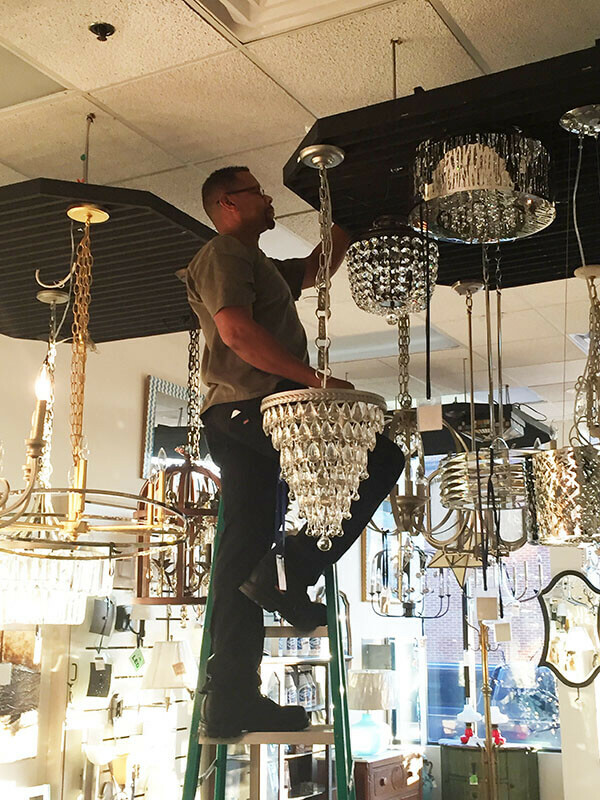 Be sure to come into our beautiful showroom in Charlottesville to see all the new, exciting, fashionable lighting that has just come in. 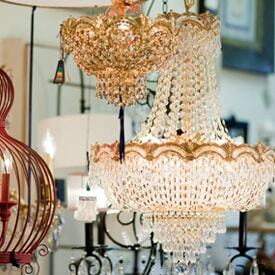 Something for everyone and fixtures for all locations in your home.